Hi There, VivBounty here to share with you a wonderful way for stroke survivors to get some physiotherapy and have some fun too in the process. My eldest sister is a stroke survivor, a simplified description which doesn't even begin to cover what she endured and has overcome. 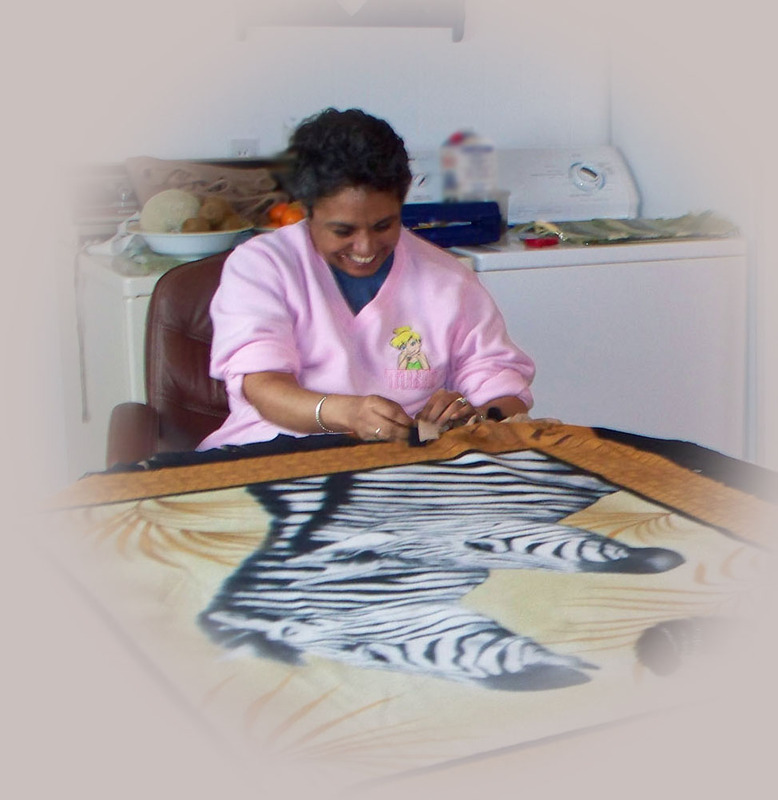 When we moved to the country, out here in the beautiful Canadian Maritimes, Juliette had just started an in-home physiotherapy program where she learned how to make tie fleece blankets. Her occupational therapist, Debbie would come once a week to work with her, help her cut and let her tie the knots to keep and improve the dexterity in her affected hand and arm. Read more about her story at the link below. While she was visiting with us last Spring, we made my birthday present from her together. The zebra is my favourite animal so she brought the printed fabric with her and we bonded over this beautiful labour of love. I snuggle with my "blanky" every evening in front of the wood stove, wrapped in my sister's love remembering our evening walks, drives along winding country roads and those many moments we shared making lovely memories. Aren't I lucky that we get to do this all again next month? I'm so excited I can't wait for my mum and sisters to arrive so that we can top up our love, hugs and giggles tanks! When you read her story at the link above, I'm sure you'll be as amazed by her as we are.